Mary Ackenhusen leads the largest academic and tertiary health authority in British Columbia, serving a population of 1 million with a budget of $3.4 billion. As a member of the VCH senior executive team since 2007, Mary has distinguished her collaborative leadership style by fostering a patient-centred approach to care, innovation and the redesign of services to enhance quality and efficiency. Mary’s passion is to transform the current public healthcare system that we cherish as Canadians in a manner that will ensure its future financial sustainability in the face of growing demand and finite government funding. An engineer by training, she intends to do this by supporting staff, physicians and partners in the introduction of new service models that will provide better care, at lower cost, while also exploring the use of technology, analytics and electronic health records to improve productivity. Kristen Brown serves as the President and Chief Medical Officer of Mercy Health Physician Partners, West Michigan – a multispecialty medical group consisting of over 700 providers and 85 clinics. In this role, she has responsibility for strategy design, clinical and financial operations, and cultural integration. Previously, she held executive positions as Vice President of Mercy Health Physician Partners, Muskegon – a 250-provider medical group with 42 clinics – and Medical Director of National Solutions at Blue Cross Blue Shield of Michigan. She practiced as a family physician for 13 years prior to starting her executive career. She has extensive background in practice and organizational transformation having led the evolution to patient centered medical homes locally and the integration of a large, complex multispecialty medical group. Fiona Clement is the Director of the Health Technology Assessment Unit within the O’Brien Institute of Public Health, a policy responsive research unit that completes evidence synthesis, economic evaluations, health technology assessments and reassessments in response to decision-makers’ needs. Her research interests include drug and non-drug technology reimbursement and cost containment policy, evidence in decision-making, and evidence in health policy development. 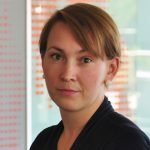 In 2015, she was named one of Calgary’s Top 40 under 40 for her work in health policy. Alexandra Clyde is Corporate Vice President of Global Health Policy, Reimbursement and Health Economics for Medtronic, Inc. She leads a global team of more than 300 professionals and provides company-wide leadership on health policy, reimbursement and value-based health care issues. She chairs the company’s Global Reimbursement and Health Economics Leadership Council in addition to the cross-functional Global Value-Based Heath Care Council. She is a member of Medtronic’s Global Officers’ Group as well as the former Chair of the Medtronic Women’s Network Global Leadership Team. Alex is a member of the Health Care Payment Learning and Action Network’s (HCP-LAN) Guiding Committee which is charged by the Secretary of Health and Human Services with accelerating the health care system’s transition to alternative payment models (APMs) by combining the innovation, power, and reach of the public and private sectors. Pierre-Gerlier (PG) Forest is the Director of The School of Public Policy and James S. and Barbara A. Palmer Chair in public policy at the University of Calgary. The School of Public Policy is the leading policy school in Canada, with influential research and publication programs that cover a full range of crucial public issues, from taxation to health care and from national security to affordable energy. The School also houses an acclaimed program of Master of Public Policy, reputed for training students with outstanding analytic skills and problem-solving capacity. Prior to joining The School of Public Policy, PG Forest was Director of the Institute for Health and Social Policy at Johns Hopkins University and Professor at the Bloomberg School of Public Health. From 2006 to 2013, he was president of the Pierre Elliott Trudeau Foundation, a reputed Canadian institution that encourages innovation in policy research and the dissemination of original and practical solutions to social issues. Theodore Ganiats is Professor of General Medicine at the Miller School of Medicine in the University of Miami’s Department of Family Medicine and Community Health. His research interests involve outcomes research, focusing on quality of life assessment and cost-effectiveness analysis. He has delivered over 100 lectures throughout the US and Europe. In addition, he was a member or chair of over 50 national guideline and quality/performance panels spanning multiple disciplines. He is a member of many professional associations, including the Society for Medical Decision Making, Academy Health, the American Public Health Association and the International Society for Quality of Life Research. Fred Horne is a Canadian health policy consultant and served as Alberta’s Minister of Health from 2011-2014. A frequent speaker and panelist on health system issues, he is Principal of Horne and Associates and Senior Advisor to Ottawa-based 3Sixty Public Affairs. He is also Adjunct Professor at the School of Public Health, University of Alberta. His career in health policy spans over thirty years and includes experience in policy development and coordination, health system design and transformation, and patient and stakeholder engagement. Current areas of focus include value-based health care, health technology management, governance and pharmaceutical policy. He serves as Chair of The Conference Board of Canada’s National Pharmacare Initiative and was recently appointed to the board of The Canadian Foundation for Healthcare Improvement. He also serves as Chair of Mohawk Medbuy Corporation, a national healthcare procurement organization, and on the boards of the Canadian Frailty Network and Providence Residential and Community Care Services (BC). Noah Ivers is a Scientist at Women’s College Research Institute, a Family Physician at Women’s College Hospital, and an Assistant Professor at the Institute of Health Policy, Management and Evaluation (University of Toronto). Dr. Ivers conducts research that focuses on finding innovative approaches to ensure that patients reliably get the right treatment in the right way at the right time. He is acknowledged as a world leader in providing performance measurement and feedback to clinicians to support quality improvement. He works with stakeholders across Ontario and around the world to find ways to measure and report quality of care in ways that enable providers to respond more effectively to care gaps. Kerry Kuluski is an Investigator at the Lunenfeld-Tanenbaum Research Institute, Sinai Health System (Bridgepoint Hospital site), Assistant Professor at the Institute of Health Policy, Management and Evaluation (University of Toronto) and Research Affiliate at the Centre for Education and Research on Aging and Health (Lakehead University). She is an applied health services researcher and a social worker by training. Her current research focuses on quality and health system performance through the eyes of people with multimorbidity and their caregivers in the contexts of community based primary health care, homecare, hospital care, delayed discharge and transitions between care settings. She draws on both quantitative and qualitative methods to uncover population level trends in care utilization as well as patient and caregiver experiences in the health care system. Her ultimate research goal is to use patient and caregiver experiences to inform quality improvements in the health care system, including approaches to care delivery that are more family centred. Ruth Lavergne is a quantitative researcher who uses observational methods and linked administrative databases to examine health care delivery. She leads research examining primary care payment reform and physician workforce planning. Other current interests include patient engagement in primary care research and collaborative mental health care in primary care. She has methodological expertise in quasi-experimental research design and works closely with qualitative collaborators on mixed-methods projects. She is an Assistant Professor at Simon Fraser University and completed her PhD at the University of British Columbia in 2015. Chad Leaver is the Director of Applied Research at Canada Health Infoway, where he is responsible for applied research and evaluation initiatives, with a focus on the value of citizen access to their health information and clinician adoption of health information and communication technologies in Canada. Collaborating with clinician, academic and industry stakeholders, results from his work provide evidence-based outcomes and market intelligence to inform and drive national and regional digital health strategies, business development and communications. Daniel Niven is an intensive care physician and Assistant Professor in the Departments of Critical Care Medicine and Community Health Sciences at the University of Calgary. He is interested in knowledge translation, use of best practices, and in particular, the de-adoption of low-value practices. He has methodological expertise in knowledge syntheses including systematic and scoping reviews, clinical trials, and administrative database analysis. In 2016 he was recognized as a rising star by the CIHR Institute for Health Policy Research, and in 2017 he was recognized as one of the Top 40 Under 40 in the City of Calgary by Avenue Magazine. Ellen Nolte is Professor of Health Services and Systems Research at the London School of Hygiene & Tropical Medicine. She holds a PhD from London University and a Master’s degree in public health. Her expertise is in health systems research, international health care comparisons and performance assessment. Over the past decade she has developed an internationally recognized research portfolio around innovative service models that seek to better meet the needs of people with complex and long-term health problems, with a particular focus on care coordination and integration within and across sectors. She has published widely on health systems, integrated care, European health policy and population health assessments both in the international peer-reviewed literature and the wider literature. Ellen was previously head of London Hubs of the European Observatory on Health Systems and Policies and Director of the Health and Healthcare Policy program at RAND Europe, Cambridge, UK. Patrick Power is based in Australia and is the founder of PowerHealth Solutions, an international healthcare software company specializing in costing and revenue, enterprise billing, and safety and quality software for hospitals and other healthcare organizations. Patrick has over 25 years of healthcare experience, specializing in the areas of healthcare funding and costing. Patrick has always worked in health and has lived and worked across a number of countries including Australia, NZ, Canada, the US, the UAE, Saudi Arabia and the UK. Patrick recently completed a three-year executive program at Harvard University and won South Australian business of the year in 2018, awarded a South Australian Industry Leaders Fund grant in 2014 and was South Australian Technology Entrepreneur of the year in 2012. Kamila Premji is a family physician providing comprehensive primary care in a diverse, densely populated urban region of Ottawa, Ontario. She is also a PhD candidate at Western University’s Centre for Studies in Family Medicine and a recent graduate of the University of Ottawa’s Clinician Scholars Fellowship. She holds multiple leadership roles at regional, provincial, and national levels, including as a clinical lead for the Champlain Local Health Integration Network, Board Chair for Canadian Women in Medicine, and Health Policy consultant for the Ontario Medical Association. Her research interests include primary care access, continuity, and the rising, controversial phenomenon of “pay-for-performance” in health care. David Radley is a senior scientist for The Commonwealth Fund’s Tracking Health System Performance program. Dr. Radley and his team develop national, state, and substate regional analyses on health care system performance and related insurance and care system market structure analyses. He is also a senior study director at Westat, a research firm that supports the Scorecard project. He joined the Commonwealth Fund in July 2010 from Abt Associates where he was associate in Domestic Health Policy with responsibility over a number of projects related to measuring long term care quality and evaluation of various Health Information Technology initiatives. His methodological expertise is in small-area analysis and in the design, implementation, and interpretation of observational studies that take advantage of large administrative and survey-based datasets. Jeroen Struijs is Associate Professor at Leiden University Medical Center and senior researcher at the Department of Quality of Care and Health Economics, National Institute of Public Health and the Environment. His research covers a broad range of topics surrounding payment reform and innovations in the organization of health care systems. His recent work has looked at the effects of alternative payment models especially on bundled payments and shared savings models. Additionally, he is working on projects which embrace the concept of population health management and value-based health care delivery. Walter Wodchis is Professor at the Institute of Health Policy, Management and Evaluation at the University of Toronto and Research Chair in Implementation and Evaluation Science at the Institute for Better Health, Trillium Health Partners. His main research interests are health economics and financing and health care policy evaluation. Through his research programs which include more than 30 collaborating researchers and as many trainees, Dr. Wodchis has lead several studies examining complex needs of high cost patient groups, the implementation of integrated care programs to address those needs, and evaluations for a number of integrated care programs in Ontario. Dr. Woods is a senior health care leader with clinical and administrative experience in both Canada and the United States and he is highly regarded for his understanding of health system dynamics and proven ability to lead positive change in complex environments. He is also Associate Professor of Family Medicine at the Schulich School of Medicine and Dentistry at Western University. Dr. Woods was previously the Senior Vice President, Provider Network Organization for Trinity Health – a multi-institutional health-care organization comprised of over 120,000 people, including more than 7,000 physicians and advanced practice providers, across 1,700 sites in the United States. In this role, Dr. Woods had clinical, operational and financial accountability for medical practices in primary care, specialty care and hospital-based physician practices. Dr. Woods has also held roles at the University of Calgary in the Department of Family Medicine, Alberta Health Services, Spectrum Health Medical Group, and Michigan Center for Clinical Systems Improvement. Jennifer Zelmer joined the Canadian Foundation for Healthcare Improvement as its President and CEO in September 2018. She brings a long-standing commitment to healthcare improvement to the role, as well as expertise in spreading and scaling innovations that deliver better health, care, and value. She is the Editor-in-Chief of Healthcare Policy, a Longwoods Publishing Journal, an adjunct faculty member at the University of Victoria, and a member of several health-related advisory committees and boards. Previously, as President of Azimuth Health Group, Dr. Zelmer was a strategic advisor to leaders who sought to advance health and healthcare at local, national, and international levels. Before that, she held senior leadership positions with Canada Health Infoway, the International Health Terminology Standards Development Organization, and the Canadian Institute for Health Information.